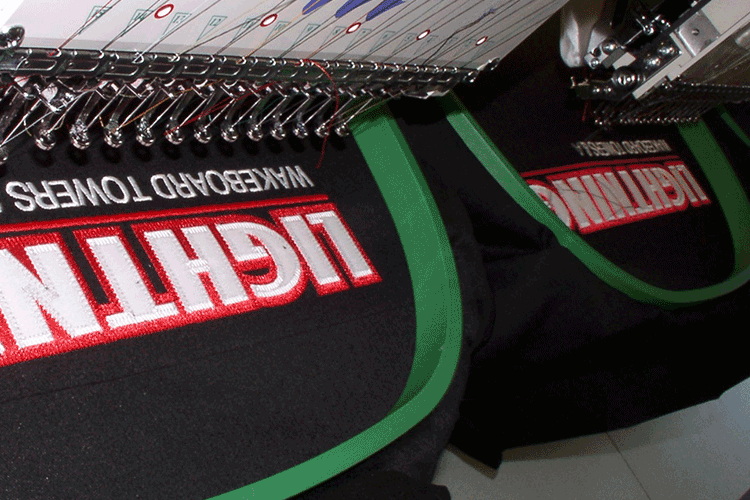 Tackle twill application takes a few more days than our other processes. Standard turnaround time is 7 to 10 business days for pre-cut designs, like greek letters or standard fonts. Rush deliveries are available as well.